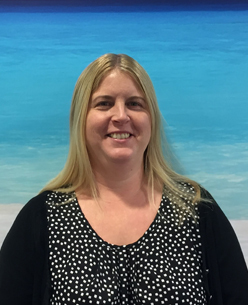 I started at Thomson's in Newmarket as a Travel Consultant in 2010 and from there became Assistant Manager, I then moved across to Virgin Holidays as a Travel Consultant where I worked for three years, before finding Premier Travel in January 2015. I've been based at the Newmarket branch ever since. Why do you love working in travel? I have a passion for travel and for visiting different countries, I love it so much and I really enjoy finding my customers the perfect holidays too. Spain (the Costa Dorada, Ibiza and Benidorm a couple of times each, Majorca three times, the Costa Del Sol), the Canary Islands (Tenerife a couple of times), Greece (Zante, Kos and Corfu twice each, Crete, Athens, Aegina), Turkey (Antalya), Bulgaria (Sunny Beach and Borovets), Mhelliah Bay in Malta, Austria (Saalbach), Bruges, Andorra (Arinsal) Florida twice, St Lucia (twice - both north end and south end), Jamaica (Montego Bay), Boston, New York, California (Mammoth and Santa Monica, LA) and New England (North Conway). Where are you off to next and why? I'd love to see the west coast of America – I enjoyed my own visit to the States so much that I'd love to take my family over there to visit LA, San Francisco and Las Vegas! I want to visit Singapore, I haven't been to the Far East yet and it looks amazing. I'd also love to do a South African safari and go to Borneo to see the orang-utans – I just love animals! Favourite holiday destination and why? I think New York must be my favourite. It's so diverse and non-stop, I fell in love with it and can't wait to go back. I also really loved Jamaica for the amazing food and beaches, friendly people and chilled out atmosphere. Favourite travel memory and why? Taking my children to Florida when they were three and seven – watching their faces at Disney World was just wonderful. Always take a credit card just in case you need it for anything whilst away. I have lots of experience of travelling to different places and will always go the extra mile – it doesn't matter if it takes a little while to find the right holiday, I'll happily spend as long as it takes putting the perfect itinerary together for my customers. My mosquito spray… apparently I have sweet blood and always get bitten wherever I go!